Nowadays, expectations are high with any new vehicle, and the 2018 Volkswagen Tiguan responds brilliantly. It is no coincidence that the Tiguan has been so successful for years in Canada, and has managed to seduce buyers who want versatility and space, sure, but also who still want to have fun behind the wheel of their vehicle. Indeed, a lot of buyers want a vehicle that is fun to drive, but also able to get them out of trouble when the snow starts to fall. The Tiguan does all that. They also want a vehicle big enough to accommodate the whole family, but economical enough not to ruin their fuel budget. And again, the Volkswagen Tiguan is there to surpass your expectations. With oil companies appearing to be enjoying yo-yoing with the price of gas, fuel consumption remains a constant concern for many buyers. 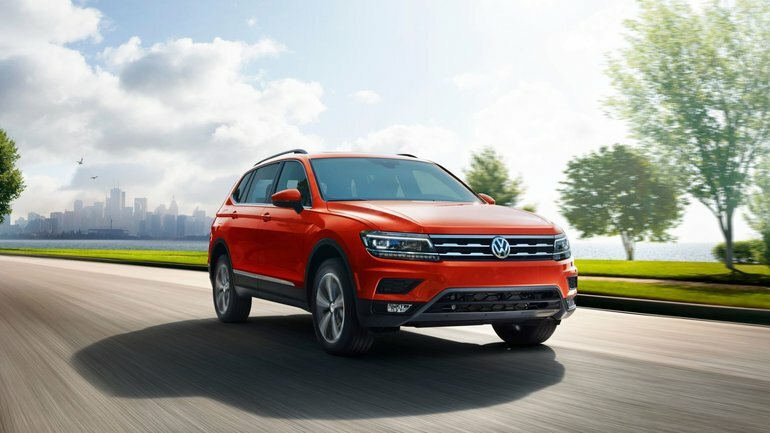 With its turbocharged, 2.0-liter four-cylinder engine, the Volkswagen Tiguan is well-equipped so that rising gas prices can have the least impact on your budget. With a fuel consumption rating of 10.6 L/100 km in the city and 8.7 L/100 km on the highway, the 2018 Volkswagen Tiguan is pretty impressive considering the amount of space it offers, and how much fun it is to drive. Even with versions equipped with the 4Motion all-wheel drive system, the Tiguan remains surprisingly frugal with fuel consumption ratings of 11.3 L/100 km in the city and 8.8 L/100 km on the highway. This consumption is made possible by the small engine displacement of the Tiguan, but also by a new eight-speed automatic transmission developed specifically to make the most of this engine, and ensure optimal fuel economy. Thanks to its turbocharger, the engine of the 2018 Volkswagen Tiguan is plenty powerful as well, as evidenced by its 184 horsepower and 221 lb-ft of torque. As mentioned earlier, today's motorists have high expectations for their vehicles. And these expectations, the Tiguan will exceed them by offering exclusive amenities like a 400-watt Fender audio system, a huge 12.3-inch digital cockpit behind the wheel and even a third row of seats to accommodate even more of people! To learn more about the 2018 Volkswagen Tiguan, contact us today at Turner Volkswagen!